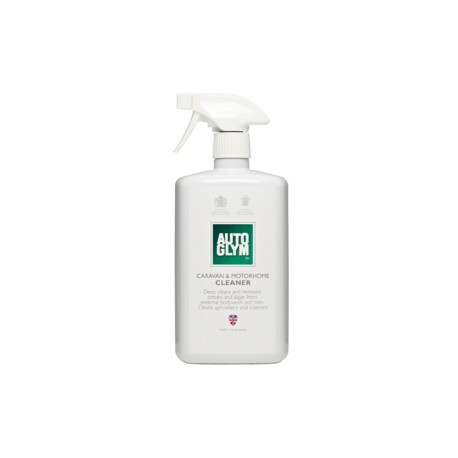 Caravan and Motorhome Cleaner is a concentrated, multi-purpose cleaner designed for quick, year-round maintenance of leisure vehicles. 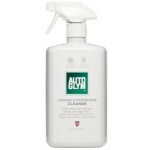 It can be used on external and internal surfaces to provide heavy duty cleaning power wherever it is needed. Caravan and Motorhome Cleaner is highly effective at removing winter algae and those stubborn black streaks that plague all owners. It can be used to clean paintwork, plastics, metals, rubber, acrylics, fibreglass, wheels, windows, body trim, work surfaces, synthetic fabrics, carpets, hobs, washable wall coverings and similar surfaces. Pop a bottle in the cupboard next time you go away, it truly is an all-in-one solution. Pro Tip: Caravans and motorhomes often have plastic windows. Clean these with Fast Glass for a smear free finish with no scratching or hazing.